Known for being very affordable and highly-versatile, post and panel signs are becoming many companies choice for attracting potential and existing customers. Your brand will be sure to get attention with custom panel signs, especially when they’re made by a reputable sign company like Visibility Signs & Graphics. At Visibility Signs & Graphics we love working on post and panel signs, as they allow us to create attractive sign and graphics solutions that meet the marketing and promotional needs of your business. 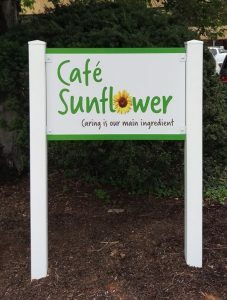 Our custom signs are all specific to your needs and customized consistent with your desired materials, shape, and size. This ensures that your post and panel signs do their job of capturing the attention of passersby and building brand visibility. We assist with every aspect of your post and panel sign system, and, we can update or upgrade your existing sign panels. When you want a reliable signage partner, turn to Visibility Signs & Graphics for the right sign and graphics solutions that help your business grow. Custom wayfinding signs assist people who are unfamiliar with your facility by literally pointing them in the right direction. Post and panel signs are excellent for accomplishing this. Post and panel signs are designed to be easily found, seen, and understood, making them one of the most popular signage options that support customers and visitors in locating various locations within any facility. As your local sign and graphics specialists, we understand the principles of developing effective wayfinding signs that complement your other brand marketing. 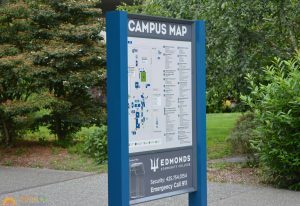 We use unique shapes and sizes as well as complementary colors and fonts to craft effective wayfinding signs. Make it easy for potential customers know that they are in the right area. 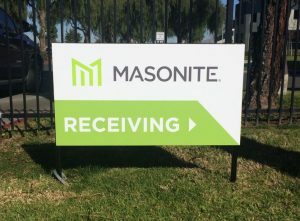 A more affordable option than a marble monument sign but giving the same feeling, post and panel signs are an excellent choice for setting your brand apart. 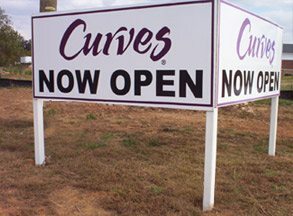 With a variety of options for placement, style, shape, and size, post and panel signs entice potential customers and reinforce your brand messaging as well. Visibility Signs & Graphics delivers attractive, branded signs and graphics to convey your brand message. We have a variety of options for your post and panel signage, for instance, carved or sandblasted wood signs, aluminum and curved metal panels, PVC posts and panels, LED message boards, and many other options. Visibility Signs & Graphics also knows that architectural signs are most often fixed structures, which is why we only use signage materials that are both functional and durable, allowing us to provide the right solution for your business signage needs. For those who desire more temporary outdoor signs, post and panel signs could be the right choice for your specific goals. Visibility Signs & Graphics produces many cost-effective possibilities including PVC signage with custom vinyl graphics and lettering. PVC sign panels are less expensive than aluminum or metal sign panels, however, they are still incredibly effective and can withstand a variety of environmental conditions considerably better than standard wood post signs. Post and panel signs are a popular favorite for promotional purposes, business identification needs, construction sites, real estate, and other locations where signage is changed, updated, or discarded more frequently. We provide you with the correct sign and graphics solutions for your unique brand needs. This is why the services we offer can be tailored to your preferred market, timeline, brand identity, and budget. With our reliable team of signs and graphics professionals, Visibility Signs & Graphics guides you through the total process. From conceptualization to sign and graphic design, creation, positioning, and professional installation, we handle every aspect of your sign and graphics project. When you must have signs and graphics that is done right and on time, go with Visibility Signs & Graphics. 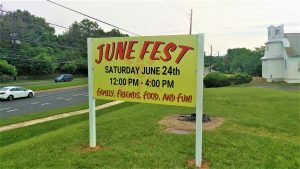 Advertise your business and brand with impactful, high visibility signs and graphics like unique post and panel signs by Visibility Signs & Graphics! Handling every single element of your project, we provide you with branded and promotional sign and graphics components that reinforce your organizational objectives. Call Visibility Signs & Graphics today at (801) 923-5961 for your Free Consultation with a Post and Panel Signs Expert! Visibility has always been a pleasure to work with.